What can you do with the KCB mobile App? It is important to note that the customer can also pay their bills on credit from the bank which they will repay at a later date. For this service, one is charged 6% interest. The KCB Mobi Bank App allows the customer not only to pay bills but it also has a feature where one can be reminded that his or her bills are due. A point worth noting is that KCB App users are awarded loyalty points which they can redeem for airtime or banking services at any KCB branch across the country. 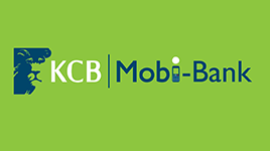 For KCB customers, visit your nearest branch to register for mobile banking. For the KCB APP, download it from your app store for Android, Windows, Blackberry or Apple and activate using the *522# PIN.